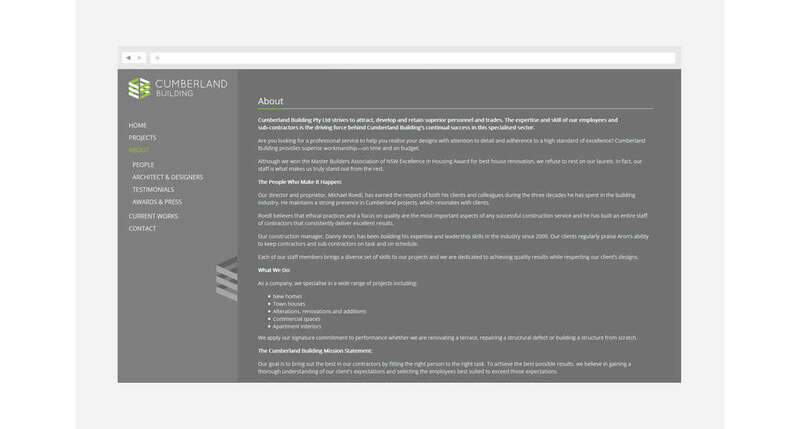 Neubreed re-branded the Cumberland corporate image with a logo redesign and a responsive web design on Drupal. With more than 50 years of building experience, the award-winning Cumberland Building team delivers excellent results that consistently surpass their client's expectations. The Cumberland Building managers have developed versatile construction backgrounds giving their projects a uniquely creative edge. Are you looking for a professional service to help you realise your designs with attention to detail and adherence to a high standard of excellence? Cumberland Building provides superior workmanship—on time and on budget. Director and proprietor, Michael Roedl, has earned the respect of both his clients and colleagues during the three decades he has spent in the building industry. He maintains a strong presence in Cumberland projects, which resonates with clients. As part of the re branding exercise, Neubreed firstly redesigned the corporate identity of Cumberland Building Services with a professional logo re-design. 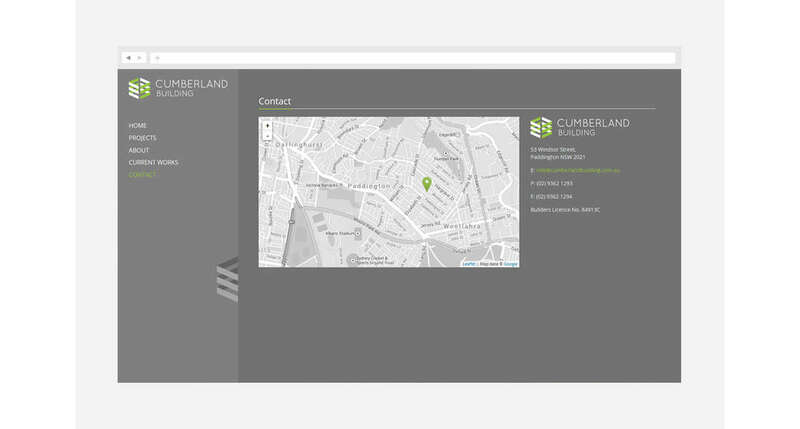 Coupled with a website redesign, we were able to refresh the Cumberland Building Services online presence with an attractive, user-focused website. 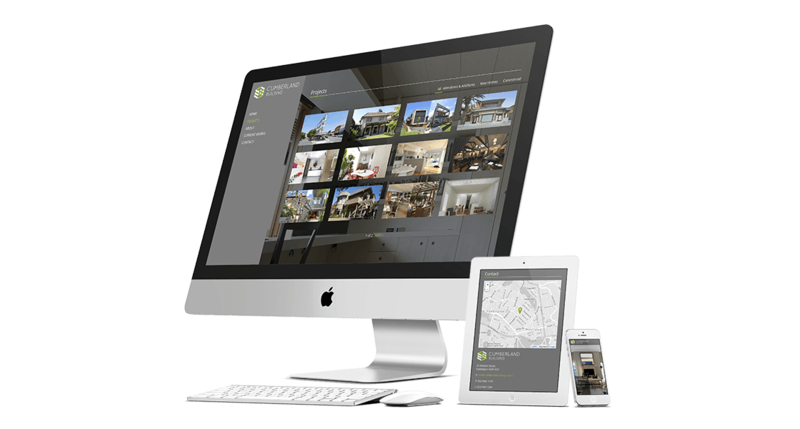 From the onset it was critical that we focused on the user experience of the end user and implemented a responsive design to ensure Cumberland Building's target market could access the site on all their mobile devices. Cumberland Building Services is premiere building company servicing domestic and commercial clientele and also undertakes fitouts and specialized structural works. Cumberland Building strives to attract, develop and retain superior personnel and trades. The expertise and skill of our employees and sub-contractors is the driving force behind Cumberland Building's continual success in this specialised sector. Cumberland Building Services partnered with Neubreed to rebrand their corporate image and better position themselves towards their target market by creating awareness about the company and their capabilities. 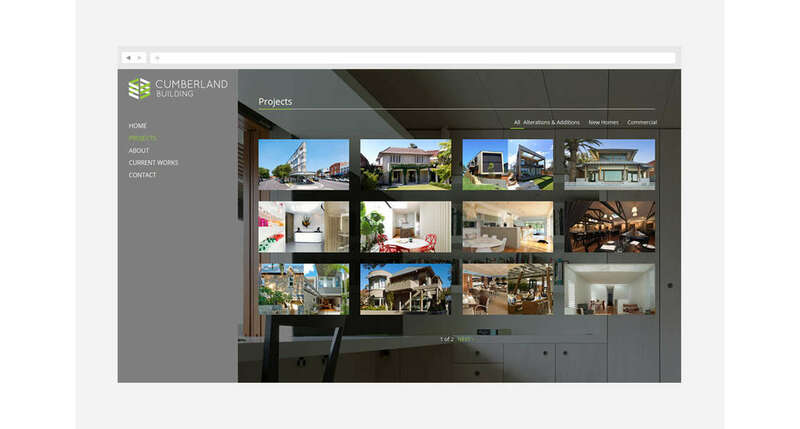 This design showcases the project work completed by the company through the use of photographic backgrounds; and a minimalist web interface that is easy to read and navigate.